A newborn’s skin is so sensitive and soft, making it susceptible to all kinds of environmental dangers. So, what do we do? We use baby wash in the bathtub, rub oil in their hair, lotion on their bodies, and countless powders and creams under the diaper. But do we research every product that is going on our precious little ones to ensure that it is safe? We expect companies to not give babies products that would be harmful, but we are learning more and more that we can’t trust manufacturers to look out for our baby’s best interest. In December of last year, hidden dangers in Johnson & Johnson baby powder came to light when it was discovered that it contained the cancer-causing mineral asbestos, as Mommy Underground has previously reported. 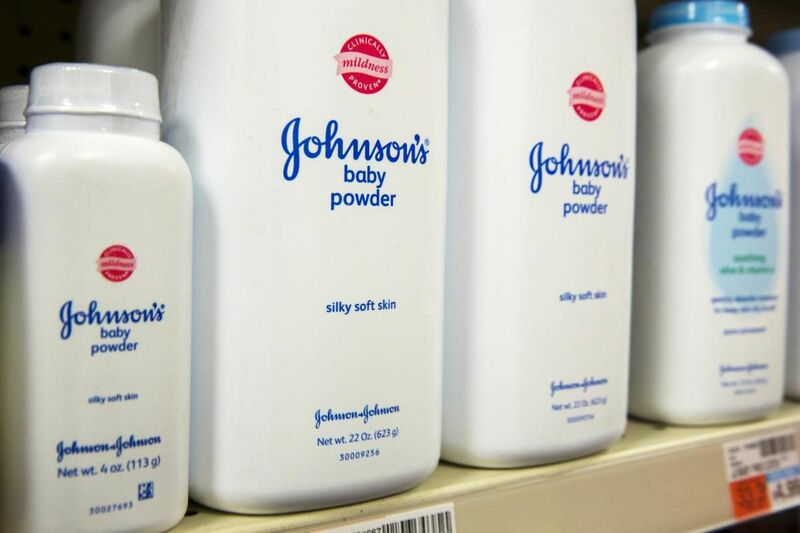 The government looked into the allegations but reported that products were all within federal guidelines, leading J & J to restock shelves everywhere with their iconic talc powder. It would not be the first time that federal regulations allowed products to carry harmful ingredients within certain parameters. The government’s logic being that no one would be exposed to enough of the dangerous component to inflict harm. As one of the most widely used baby product companies in the world, Johnson & Johnson should adhere to even more strict guidelines of safety, because they affect a countless number of children. Shockingly, this is not the case, and the company has made headlines again for distributing a product that contains, yet another, dangerous ingredient. Just as in the asbestos cases, J & J has been adamantly denying that they are guilty of ingredients found in their products. Whether the products had harmful ingredients deliberately added, just ignored by executives, or inherited them during packaging or transportation, the company needs to take responsibility for items that boast their logo on the front. On March 5th, the Rajasthan Drugs Control Organization put out a notice that announced how not one, but two batches of J & J baby shampoo had failed quality tests after containing “harmful ingredients”, according to Reuters. With almost $2 billion in sales last year globally, this baby shampoo has infiltrated bath time for millions, making it an atrocity. While the Rajasthan Drugs Control Organization didn’t specify what the “harmful ingredients” were, a J & J spokeswoman reported that a watchdog revealed that it was formaldehyde that had been found in the samples taken. Formaldehyde?! Yes, the same chemical that is a known carcinogen, and is most popularly known for its use in embalming bodies after death, was found in a children’s shampoo. In a ridiculous deflection, the company says that the results must be false, because of the “unknown and unspecified methods” in which the government took the samples. No matter how the samples were pulled from the batch, formaldehyde would not have just appeared instantaneously. Somehow, it was put in their formula. This may seem ludicrous that a company would have a known carcinogen in a product geared towards vulnerable baby skin, but this is not something unknown to them. In 2014, the New York Times released a report stating how J & J just took formaldehyde out of their formula to appease the growing number of consumers wanting healthier products for their baby. So, they purposefully put this carcinogen in the baby shampoo for decades, as a cheap preservative, knowing the scientifically proven effects of the chemical over time. Johnson & Johnson currently leads sales in India in the baby and child toiletries department, according to Reuters, but sales may plummet after families catch wind of their damaging products. Any company that would purposefully put known carcinogens in products that they know trusting parents will generously apply to innocent babies cannot be trusted. Now, the company is known for their timeless scents and dangerous baby products. After multiple failed safety tests, hopefully, parents will drop their loyalty to the deadly company, and opt for a company that can sleep with a clean conscience. Please let us know in the comments section if you are shocked by this news, and plan on switching baby products immediately.